Teaching and Research are the key elements of higher education. The importance of research as an integral part of higher education is emphasized in the undergraduate and postgraduate programmes offered at CINEC. Through research, students develop l thinking and effective analytical skills that are necessary for their career advancement. In view of this, CINEC provides an opportunity for students undergoing their final year of studies to work on projects in collaboration with leading industries in the country. 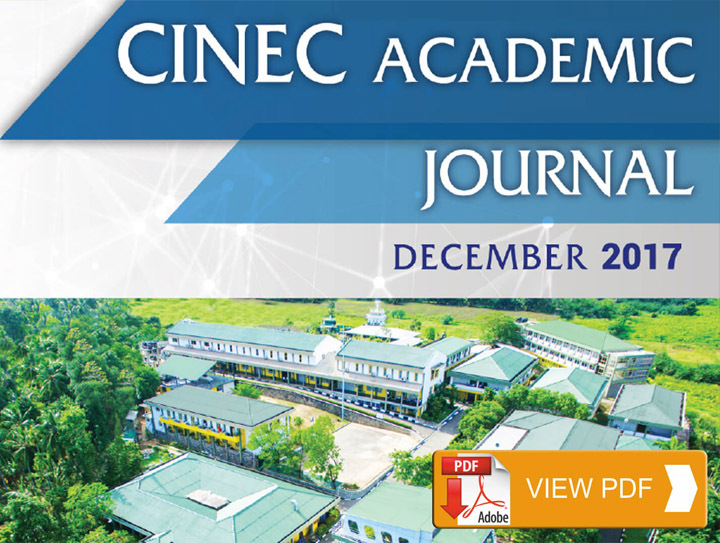 The CINEC Academic Journal was founded to showcase outstanding research papers from staff and students of CINEC. The journal provides an opportunity for students at the undergraduate level to have their research published. We also encourage academics and researchers from other educational and research institutions to submit their research findings to the Journal for the benefit of the readers. We are proud to complete the second volume of public on. As usual the Journal presents a diverse selection of stimulating articles from staff and students of CINEC.